Discount Medical Depot's coat rack helps you create hanging storage in any room, closet or hallway for everything from jackets and scarves to handbags and umbrellas. 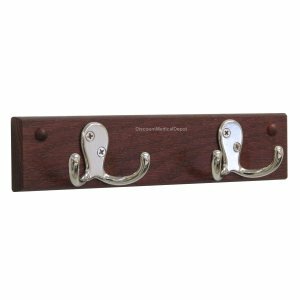 Our 10" solid oak rail coat rack has 2 nickel-finished hooks with 2 prongs each for a total of 4 hooks. These double hooks are the perfect solution for organizing robes, towels, hats, pet leashes, bags and other items. 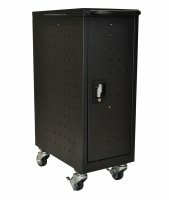 Easy to install, includes mounting hardware and instructions and is already fully assembled. Limited 1 year manufacturer's warranty. Made in the USA. Measures 10" W x 2.25" H x 1.75" D. Weighs 1 lb. Total holding capacity of the rail is 55 lb.